Race organisers have made key changes to no less than 4 of the stages of this year’s Vuelta A Espana, which commences on August 19 in Nimes, France. Each of the stages and maps have now been posted on the official race website, and the changes are evident and in some cases, quite drastic. No reasons have been given for the alterations as of yet. Some key changes include the lengthy individual time trial as well as well as changes to mountain finishes and giving and taking of a few kilometres, here and there. Stage 14 has seen some of the bigger changes of them all – having been shortened from 185 to 175 kilometres. Major alterations have been made to especially the first part of Stage 14’s route. The stage commences in Ecija and would originally have passed through Aguilar de la Frontera and coming down into Monturque – but will now be heading directly towards Herrera (increasingly more to the South) and onto Lucena, before it will join back up with the original route. Stage 14’s first climb of the day will also be taking place much later. Riders have in the past indicated that later climbs are not necessarily better or easier on the legs. The general opinion seems to be to get on with it and over it as fast as possible. Stage 15 has been extended by a couple of kilometres. The route is not much different to the original route, with the only difference being that it will now be 20 kilometres longer than before. 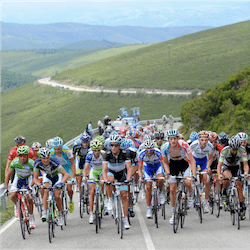 Stage 16 gives freely what Stage 15 has taken away – having been trimmed from 42 kilometres down to 40.2 kilometres. However, it is still longer than any of the Tour de France time trials – potentially posing a harrowing test to general classification competitors. The kilometres have been snipped off of the back end of the route, and does not seem to make any difference to the route that the stage is set to take. The Vuelta A Espana is the last of the grand tours for 2017 – and as far as excitement among punters are concerned, Chris Froome is the man to be looking out for. What makes the 2017 Tour de France winner somewhat of an enigma, is that he had won no races in the season’s run up towards the Tour – peaking at exactly the right time in order to take the big one. However, the Vuelta’s nine summit finishes might break the Brit yet – anyone who had witnessed the Stage 12 finish of the Tour de France would probably not be too keen to be banking exclusively on Froome. Romain Bardet on the other hand, stepped up to the plate in a big way and may very well be up to summity challenge that is Vuelta A Espana in a bit way. 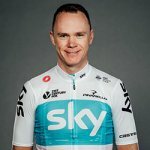 World-class cyclist Chris Froome intends to skip defending his Giro d’Italia title this year as him and Geraint Thomas say they will instead be turning their attention to the Tour de France. 33-year-old Froome is currently on course to become the fifth rider ever to win five Tours, while Team …. British rider Mark Cavendish has been officially eliminated from the Tour de France after the 11th stage of the event. 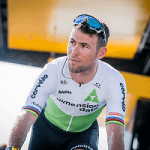 Cavendish was unable to make it to the finish line by the end of the stage, and his elimination is the first time in his career so far that he’s …. A section of the audience that were part of the Tour de France time-trial booed Chris Froome, who has been stuck in controversy lately. The day in question saw Froome’s team, Team Sky, losing the edge to BMC by four seconds, after which race leaders were handed out yellow jerseys …. 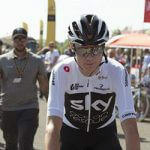 Chris Froome, four-time Tour de France champion, has been met with bitter and jeering crowd as he makes his way through the start of the pre-event at this year’s Tour de France. Froome, along with Team Sky, were introduced to the crowds only to be met with a mixture of …. 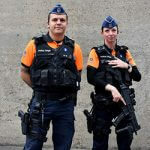 Recently it was revealed by organisers of the Tour de France that over 30000 security agents were to be hired to protect the riders as they completed the event. 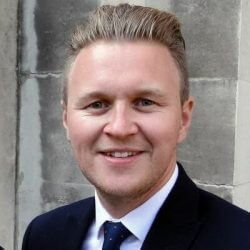 The increase to security comes after the head of world cycling called for a safer environment for Chris Froome, who has ….